Just a quick reminder that Antonio Galloni will be here this Saturday from 12-2PM! Full details on the event are listed below! 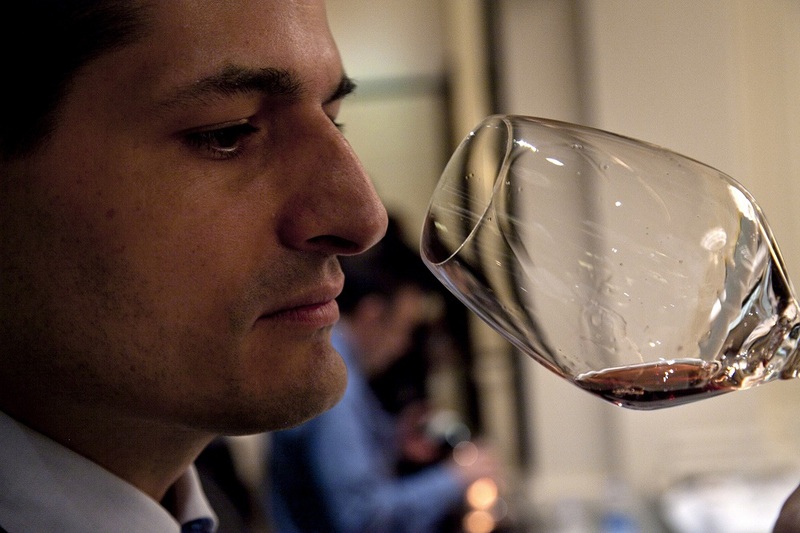 Antonio Galloni, one of the leading wine critics in the world, will be here at Wine Library for a special showing of his new website, Vinous, along with a sampling of 4 outstanding wines that Galloni has scored 90+ points! As far as wine critics go, Galloni needs little introduction. Regular features on Vinous include comprehensive reviews of new releases from Italy, California, Champagne and Burgundy, vertical tastings and retrospectives, in-depth videos shot on location, Vinous Favorites – top picks under $25 – and Vinous Table, profiles of top eating and drinking destinations. Starting at 12 Noon, Wine Library will give you an opportunity to explore Vinous and its 30,000+ reviews, hundreds of articles and videos, along with personal tours of the site so you can discover everything it has to offer! Those of you who stop by will be able to save even more with a special subscription discount to Vinous! All new members that sign up, will save an additional 20% off a one year subscription! In addition to the special discount on Vinous, we’re going to open 4 very special wines hand selected by Galloni and the Wine Library team. All in all, this makes for an incredible Saturday educational event! Great wine, perhaps the hottest new wine website, and one of the world’s top wine critics…right here…at the Wine Library! Looking forward to seeing all of you at Wine Library Saturday, November 2nd! You have received this email alert by subscribing to Wine Library’s email service. Click here to change your email subscription settings. Or if you no longer wish to receive emails from us click here to unsubscribe. We reserve the right to limit quantity while supplies last. Prices are subject to change without notice. Not responsible for typographical errors. Prices do not include sales tax. Sales tax added where applicable. Title to, and ownership of, all wine passes from Wine Library to the purchaser in the state of New Jersey to his / her home state. By arranging for transportation of wine, Wine Library is providing a service to, and acting on behalf of the purchaser. By utilizing this service from Wine Library, purchaser is representing that he / she is acting in a fashion compliant with his / her local and state laws regarding the purchase, transportation and delivery of wine. The purchaser represents that he / she has obtained any required permission, paid any required fees, is working through properly licensed intermediaries where required, is legally entitled to take possession of wine and is legally entitled to take quantities ordered. And once again authorizes that he / she is 21 years of age.